Alpher was the son of a Belarusian Jewish immigrant, Samuel Alpher (born Ilfirovich), from Vitebsk, Belarus. His mother, Rose Maleson, died of stomach cancer in 1938, and his father later remarried. Alpher graduated at age 15 from Theodore Roosevelt High School in Washington, D.C., and held the ranks of Major and Commander of his school's Cadet program. He worked in the high school theater as stage manager for two years, supplementing his family's Depression-era income. He also learned Gregg shorthand, and in 1937 began working for the Director of the American Geophysical Union as a stenographer. In 1940 he was hired by the Department of Terrestrial Magnetism of the Carnegie Foundation, where he worked with Dr. Scott Forbush under contract for the U.S. Navy to develop ship degaussing techniques during World War II. He contributed to the development of the Mark 32 and Mark 45 detonators, torpedoes, Naval gun control, and other top-secret ordnance work, and he was recognized at the end of the War with the Naval Ordnance Development Award (December 10, 1945—with Symbol). Alpher's war time work has been somewhat obscured by security classification. From 1944 through 1955, he was employed at the Johns Hopkins University Applied Physics Laboratory. During the daytime he was involved in the development of ballistic missiles, guidance systems, and related subjects. In 1948 he earned his Ph.D. in Physics with a theory of nucleosynthesis called neutron-capture, and from 1948 onward collaborated with Dr. Robert C. Herman, also at APL, on predictions of the Cosmic Microwave Background Radiation. Alpher was somewhat ambivalent about the nature of his ordnance work. At age 16, he was offered a full scholarship to the Massachusetts Institute of Technology (MIT), but it was withdrawn after a mandatory meeting with an MIT alumnus in Washington, D.C., with little explanation or clarification. Instead, he earned his bachelor's degree and advanced graduate degrees in physics from George Washington University, all the while working as a physicist on contract to the Navy, and eventually for the Johns Hopkins University Applied Physics Laboratory. He met Russian physicist George Gamow at the University, who subsequently took him on as his doctoral student. This was somewhat of a coup, as Gamow was a prominent Soviet defector and one of the luminaries on the GWU faculty. Alpher provided much needed mathematical ability to support Gamow's theorizing. Gamow often gave talks across the world on "The Origin of the Elements", which was Alpher's original dissertation. Alpher followed this up with the first prediction of the existence of "fossil" radiation from a hypothetical singularity—the Cosmic Microwave Background Radiation. This was observationally confirmed by Penzias and Wilson at Bell Labs using a horn radiotelescope. They were awarded the Nobel Prize in Physics for the observation in 1978. Alpher argued that the Big Bang would create hydrogen, helium and heavier elements in the correct proportions to explain their abundance in the early universe. Alpher and Gamow's theory originally proposed that all atomic nuclei are produced by the successive capture of neutrons, one mass unit at a time. However, later studies challenged the universality of the successive capture theory, since no element was found to have a stable isotope with an atomic mass of five or eight, hindering the production of elements beyond helium. 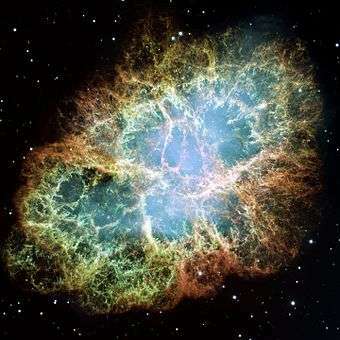 It was eventually recognized that most of the heavy elements observed in the present universe are the result of stellar nucleosynthesis in stars, a theory largely developed by Hans Bethe, William Fowler and Subrahmanyan Chandrasekhar. Alpher's independent dissertation was first published on April 1, 1948 in the Physical Review with three authors: Alpher, Hans Bethe and Gamow. Although his name appears on the paper, Bethe had no direct part in the development of the theory, although he later worked on related topics; Gamow added his name to make the author list Alpher, Bethe, Gamow, a pun on alpha, beta, gamma (α, β, γ), the first three letters of the Greek alphabet. Gamow joked that "There was, however, a rumor that later, when the alpha, beta, gamma theory went temporarily on the rocks, Bethe seriously considered changing his name to Zacharias". When referring to Robert Herman he wrote: "R. C. Herman, who stubbornly refuses to change his name to Delter." Alpher worried that the humor engendered by Gamow may have obscured his own critical role in developing the theory. With the award of the 2005 National Medal of Science, Alpher's original work on nucleosynthesis and the cosmic microwave background radiation prediction was recognised. Neil deGrasse Tyson was instrumental in a NSF committee recommendation (personal communication to Dr. Victor S. Alpher, July 26, 2007). Alpher and Robert Herman were awarded the Henry Draper Medal from the National Academy of Sciences in 1993. They were also awarded the Magellanic Premium of the American Philosophical Society in 1975, the Georges Vanderlinden Physics prize of the Belgian Academy of Sciences, as well as significant awards of the New York Academy of Sciences and the Franklin Institute of Philadelphia. 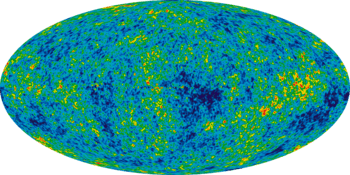 Two Nobel Prizes in physics have been awarded for empirical work related to the cosmic background radiation — in 1978 to Arno Penzias and Robert Wilson and in 2006 to John Mather and George Smoot. Alpher and Herman (the latter, posthumously) published their own account of their work in cosmology in 2001, Genesis of the Big Bang (Oxford University Press). In 1955 Alpher moved to a position with the General Electric Company's Research and Development Center. His primary role in his early years there was working on problems of vehicle re-entry from space. He also continued to collaborate with Robert Herman, who had moved to the General Motors Research Laboratory, on problems in cosmology. The Cosmic Microwave Background Radiation was finally confirmed in 1964, although in retrospect many other astronomers and radio astronomers probably observed it. Despite being raised in a Jewish family, he later on became an agnostic and considered himself to be a humanist. He was deeply involved in community service activities, including the Boy Scouts in upstate New York, as well as developing WMHT-TV and WMHT-FM, public broadcasting on UHF and FM bands in the Albany-Schenectady area. After a falling out with the Rabbi at the Schenectady Reform Synagogue, he became involved with other Jewish families at the Unitarian Society in Schenectady, NY in the 1950s and 1960s. Former Methodist minister William J. Gold was the charismatic minister of this group. After serving as President of the Congregation there, he became much less involved upon Gold's departure. His daughter, Harriet, married a Conservative Jewish man from her college. Ralph Alpher showed very strong commitment to burial of his wife, Louise, in a traditional Jewish manner in 2004, extended to himself in 2007. He asked his son, Victor, to help facilitate these processes. He had been active in the Boy Scouts, attaining the rank of Eagle Scout (as did his son Victor); the "reverent" component of the Scout oath never presented a problem for him. ↑ Alpher, Ralph A. "Cosmology and Humanism" (PDF). Humanism Today. 3: 15–27. This leads inevitably to my identifying philosophically as an agnostic and a humanist, and explains my temerity in sharing my views with you.